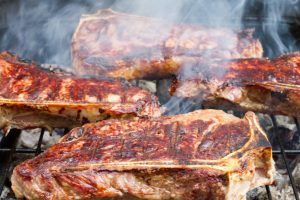 Gas grill vs. electric grill: Which is better? When grilling from home first became a trend decades ago, the only alternative that people had were the charcoal fuelled grills. Fast forward to today and their popularity has waned considerably. They have been replaced by gas grills and electric grills, designed with better features and functionality superior to that of the charcoal grill. The trouble for most people now lies in choosing between the gas grill and the electric grill for their backyard grilling. Which is the better option? It would not be fair or right if one grill type was advertised as better than the other. Each model comes with its own flaws that prevent it from perfection. A proper example is the electric grill’s slow heat gain after ignition, which the gas grill doesn’t have. Similarly, each grill type has its advantages and qualities that make it a better option over the other. The gas grill might work faster and better than its electric counterpart, but isn’t suitable for indoor use. On the other hand, the electric grill is suitable for both indoor and outdoor use but takes longer to get meals ready. The final choice of grill depends on the buyer’s space, food, and legislation requirements, which are in turn supported by the specifications of the chosen grill type. Most models measure gas in degrees. They can also maintain the heat at a constant temperature, usually at higher levels. Has fewer restrictions on space and place of usage. It can be used in both apartments and outdoors. Most of them have trouble releasing enough heat for overall cook-up. The gas grill has long been more popular than the electric grill, despite the latter’s many attributes. As a result, the number of homes and businesses using gas grills has always been higher than those using electricity. But, both grills have their advantages over each other, which provides the basis over which buyers should choose the grill to buy. In matters of size, they are similar, courtesy of each being sold in both small and sizes. Their biggest variations result from their respective fuel sources. While gas is popular, it also poses the risk of gas leaks, explosions, and fires when poorly managed, unlike electricity. Gas grills also require regular changing of tanks, which is something electric grill users don’t have to think about. Electricity, though convenient, still endangers the environment with its carbon dioxide emissions. Gas grills come with more features to improve usability such as side burners, side shelves, rotisserie kits etc, which electric grills don’t usually have. Both are relatively easy to maintain; nevertheless, the electric grill has more limitations when washing it. The electric grill can be used both indoors and outdoors unlike the gas grill whose services limited to outdoor usage for safety purposes. 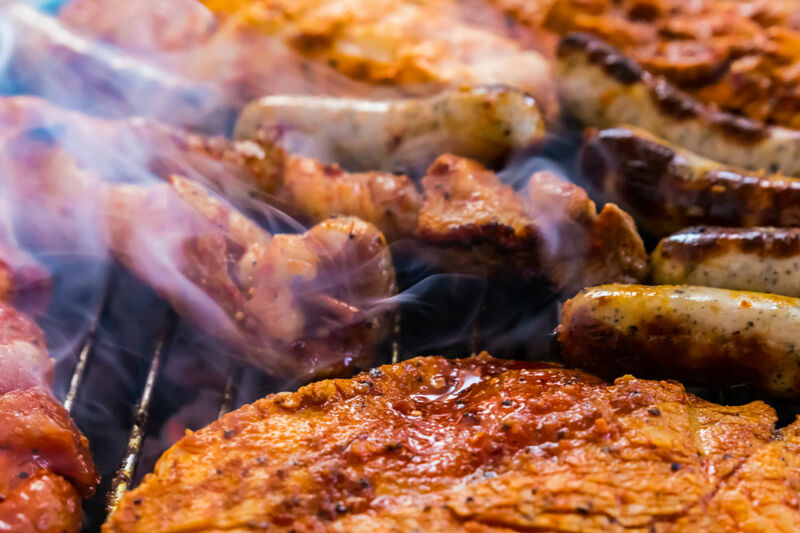 Nevertheless, gas grills will cook better-flavored meat any day than electric grills, thanks to their stronger flame and heat retention abilities. So which one is really the best? 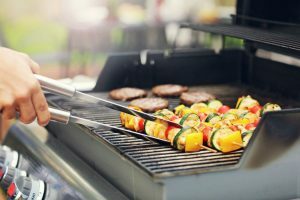 Choosing between a gas and an electric grill may not be easy, but the final decision lies with the actual user, depending on their particular needs and requirements. The factors you should consider before picking either grill include your space limitations, food requirements, fuel options and area legislations, especially those regarding the use of certain forms of fuel. If you live in an apartment, it’s most likely that gas grills will not be allowed due to safety reasons. That leaves you with the electric grill as your only option. Space constraints will also dictate the electric grill, whose size renders it usable in even limited space. 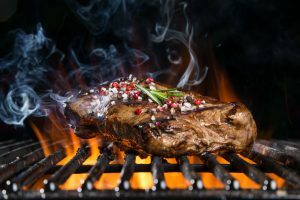 If you intend to prepare a certain standard of food as part of the grilling process, the gas grill may be a better alternative, courtesy of its strong fire, better searing properties, and better-colored meats. Both grill models have high-quality products too; the Weber Spirit Gas Grill and the Char-Broil Quickset Gas Grill are good examples of the gas grill. The Weber Q2400 and the Char-Broil Patio Bistro Infrared Electric Grill are also fine examples of the electric grill that we recommend. Are you a barbeque love who loves to call friends during the weekends for a great BBQ party? 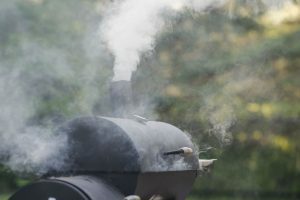 Do you find that the charcoal grilling is not good for health and leaves a lot of smoke? Well, the grills have gone through a lot of innovation and these days we have the electric and the gas grills to grill all kinds of food. Many people who love to eat roasted and toasted stuff have a griller in their home. The electric and gas grills are the two most popular grills and both have their pros and cons. They do have different operating and maintenance costs as well. If you are in the market looking to buy a grill for your outdoor space, then you will be amazed to find the wide range of grills on offer. The first thing you need to know is the difference and the comparison between the electric and the gas grills. This will help you to buy the most suited grills for your home. The electric grills come in two types: open grills and clamshell contact grills. Most of the electric grills come with a drip tray where the oil and the excess juices of the meat are collected. The drip tray can be easily removed and cleaned. The heating element in the electric grill is placed within the cooking surface or sometimes even below the cooking surface. Its position varies in different grills and depends upon where the manufacturer wants to place it. The drip tray is always seen below the heating element. The electric grills are very compact in size and can be used both indoors and outdoors. They will need electricity to start the grilling process. Nowadays, there are many types of electric grills on sale that consume less electricity to grill foods and hence you need not spend a lot of money on electricity bills. The gas grills are normally big in size and are ideal for use outdoors or in patio areas or by the poolside. They need to be fuelled by propane or natural gas to work. It is absolutely necessary to make sure that the gas grills are not placed very close to any material that can easily catch fire. The grills come in a wide range of sizes, right from small to single steak grills as well as large grills. 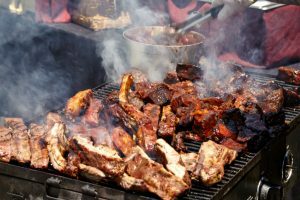 They are very popular as you can, even find industrial and restaurant-sized grills that can cook meat for about 100 people at a time. 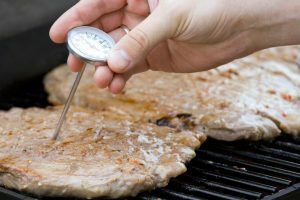 The heat can be controlled in gas grills, but the lower temperatures cannot be maintained for a longer period of time. The gas grills are offered with side burners, multiple burners, and rotisserie kits. You can even buy gas grills with heating elements that will radiate the heat needed to cook tasty food. The following are a comparative study about the electric grills and gas grills. From this study, you will be able to find out which type of grills is ideal for your use. The electric and the gas grills are offered in a wide variety of sizes. The electric grills are seen in compact sizes as well that can easily be placed on countertops or table tops. 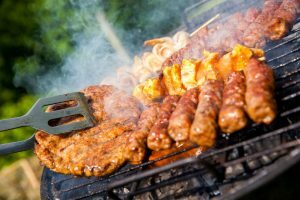 There are large sized electric grills that can be sued in outdoor space like patios or pool areas. These grills have the capacity to prepare food for 12 to 15 people at a given time. The gas grills are normally large in size. There are a few gas grills that can make single steaks. The gas grills are mostly used in outdoor areas of the home. The industrial use gas grills can feed about 100 people at a time. The electric grills have different temperature settings like low, medium and high. They will generate high radiant heat and will then power off. 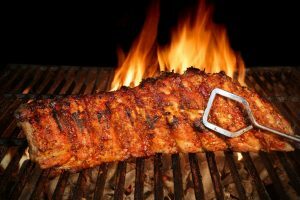 If the temperature of the grill drops, the heat coils will get re-energized. The heating can also be adjusted using the timer. The electric grills are not ideal for cooking searing foods as they cannot hold in the intense heat for a longer duration. The gas grills have control knobs which have degree calibration. 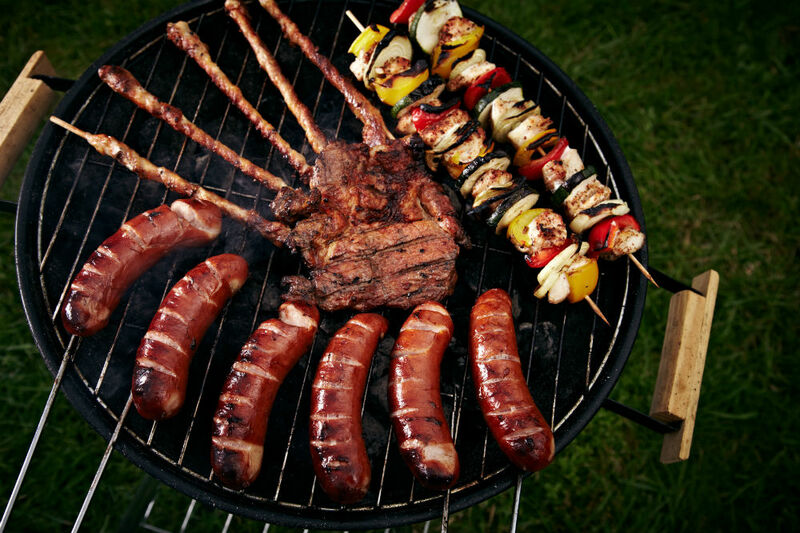 The heat of the gas grill can be controlled at a constant temperature. It is very difficult to maintain the gas grills at a low temperature for longer periods. The electric grill heating element cannot be immersed in water. You will need to unplug the cord from the electric socket before doing any cleaning. The casings and the wire of the unit have to be checked periodically. The grill needs very less maintenance. It is also very easy to store. All you got to do is to unplug the cord and place it anywhere you want. The gas grill heating plates, grease trays, and graters can be removed from the unit. Hence, they can be washed thoroughly by dipping them in hot water after every use. The ignitions, gas connections and the grills need to be regularly checked and all worn out parts needs to be replaced. It is important to seal the gas jet properly when you are storing the gas grill. 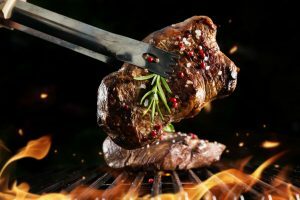 The electric and the gas grills are offered in a wide range of prices, starting from as low as $70 to $7,500 high-end ones that are used by chefs. You will come across a wide range of gas grills when compared to electric grills. The gas grills will also be cheaper when compared to the electric grills. But, if you want a compact unit, then electric grills are the ideal option. There are a few factors that you need to look into when you are buying a grill. Space is the first thing to look into. If you do not have a large space, then using an electric grill is viable. If the flavor is what you want, then investing on a gas grill is the wisest choice. If cooking food for guests is your passion, then you need to buy a gas grill that will help with cooking tasty and yummy food.